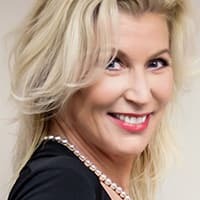 Patricia Connell is an international award winning Real Estate Agent specializing in Southwest Florida and Central Toronto. Patricia provides each client with a full service Real Estate experience that exceeds all expectations. If you are interested in purchasing a second home or an investment home in Florida you can Trust Patricia Connell will always be working in your best interest with an unwavering commitment to you and your satisfaction. After completing a degree at the University of Waterloo and with 20 years of marketing and sales experience Patricia Connell began an award winning international Real Estate Career at Royal LePage Real Estate Services Ltd., Brokerage. While having homes in Toronto and Southwest Florida and working in the ever changing real estate market, Patricia has become an expert in buying and selling real estate in Toronto and Southwest Florida. Patricia will help you find the right home at the right price and guide you through the purchase or sale of your new home in a stress free manner while always looking out for your best interest. Mission Statement - Patricia will provide each client with a full service real estate experience that exceeds all expectations. Patricia will always have an unwavering commitment to you and your satisfaction. Patricia welcomes the opportunity to work with you and help you with Your Next Move. Patricia is a skilled negotiator with a track record of excellent results for her clients. Patricia has a genuine desire to strife for the best possible outcome for every client.